Word of mouth is excellent small business advertising – but it’s slow, and may be practically non-existent for new businesses. If you want to grow your customer base more quickly, you have to advertise. This collection of small business advertising ideas presents both the tried and true and some you may not have tried yet—advertising ideas for your small business to effectively reach your target market and attract new customers. 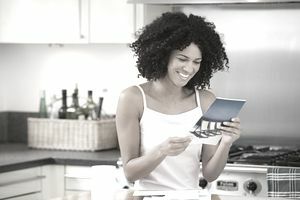 Direct mail can be very effective business advertising—and is much more favorably received than other direct marketing media, such as email or telemarketing. And even if you don’t have a mailing list, you can still geographically target your mail. Besides box ads and advertising inserts, local newspapers also often offer special advertising features showcasing particular businesses—all-powerful business advertising opportunities. Don’t overlook special interest newspapers as an advertising idea if they exist in your area. They may be delivered to exactly the audience you want to reach. Note that there's a difference between advertising on a newspaper's website and in its print edition. While online ads may be less expensive, you may get more bang for your buck at the local level in a small community newspaper. Every professional or business organization offers exclusive advertising opportunities for their members, ranging from free promotion on the organization’s website through special section newspaper advertising. And being a member can be good small business advertising in itself. Don't forget trade shows as a means of getting the word out. The main reason to participate in trade shows is to be seen and get known. While participating in big trade shows can be quite expensive, there are a lot of smaller opportunities that may work well for your business, from trade shows put on by local business associations through trade shows focused on particular industries. Joining forces with other businesses can greatly increase your advertising power and your marketing reach. And visible, tangible involvement with your community is more than good public relations; it’s also very effective small business advertising. So choose a charitable event or community association to get involved with and let yourself be seen as a business that cares. So you can’t afford to advertise your business during the Super Bowl. That doesn’t mean you have to miss out on the household reach of TV. Cable TV companies offer advertising ideas within the budget of small businesses, from advertising on the TV Guide Listings or Real Estate channels through running infomercials. Another advertising idea you may not have thought of is radio advertising. Running ads on a local radio station can be both effective and relatively inexpensive. A catchy radio jingle may stay with potential customers long after they've turned off the radio, which is ideal brand recognition. Cover all your small business advertising bases by ensuring that your business is listed on websites providing business information for your local area. Many municipalities, for instance, offer business listings on their websites. And make sure your business has its own website too. If you already have an in-house mailing list or are able to develop one, email advertising can work for you. There are two ideal things about it: Everyone has email nowadays and you can customize the email you send to target specific groups of customers or even individuals. eBay can be a fast and inexpensive way to make your potential customers aware of your products. When you list an item for auction, you’re also advertising your business to whoever views the listing. Although it can be difficult to gauge how effective an ad campaign is on Facebook, and some of its ad targetings has been found problematic, it's still the biggest audience of online consumers. It's relatively inexpensive compared to many other advertising options, and you don't have to get locked into a long-term contract, just post ads as you need to. By choosing several of these advertising ideas and focusing on them, you’ll be able to grow your customer base much more quickly than you would by relying on word-of-mouth alone. Like any kind of marketing you do, of course, your business advertising will be most effective if you plan your advertising campaign and track your results.